Earn Rewards & Save Money! 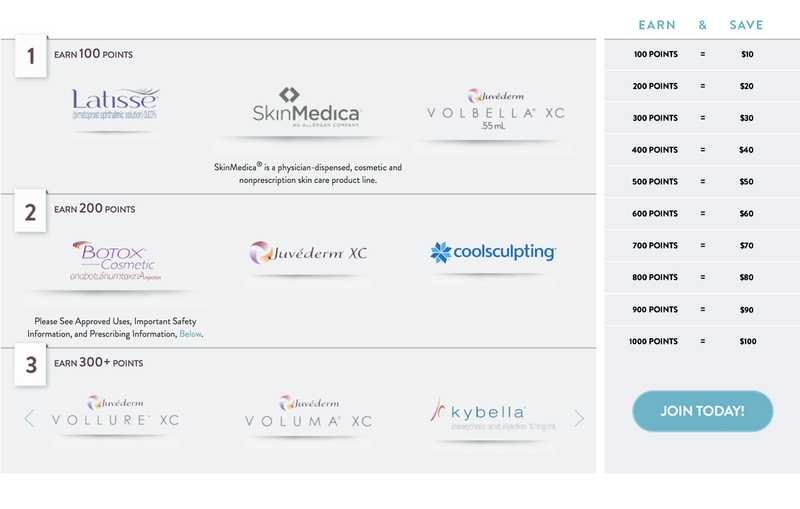 The Brilliant Distinctions® is a premier aesthetics rewards program that gives you access to savings on the Allergan portfolio of aesthetic products (such as Botox®, Juvederm®XC , SkinMedica®, and Latisse®). 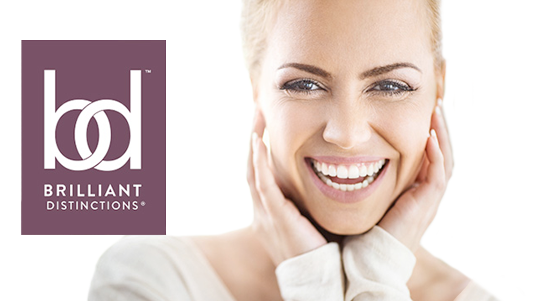 Your points are redeemable for savings on future Allergan treatments and products. 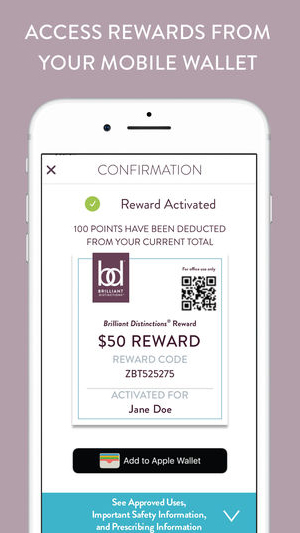 The Brilliant Distinctions Points Program allows you to earn points each time you receive a Botox Cosmetic or Juvederm XC treatment from a participating physician. Earn Points on every purchase at the Brilliant Distinctions® Mall. The points you bank up can be redeemed for dollars off on select Allergan products and services including Botox, Juvederm XC, SkinMedica, and Latisse. There will be ongoing opportunities for other valuable rewards including the ability to donate points to charity. Manage your account activity online or via BD Mobile App. As a Brilliant Distinctions member, you’ll receive a monthly eNewsletter full of all the information you need including special offers, ideas and articles. Simply visit the Brilliant Distinctions website and follow the instructions to register. Please note that this program is not managed by Ocala Plastic Surgery. We simply offer it as a benefit to our patients. What do I have to do to earn points? To begin earning points with each Botox, Juvederm XC, SkinMedica, and Latisse purchase, simply register on the Brilliant Distinctions website. Once you are registered, notify our staff that you are a participant. We will then bank your points each time you have a treatment in our office. How do I get a coupon to use for my treatments? Do I have to do anything after the treatment? No. Points will be automatically deposited in your account within 24 hours. Points will expire 9 months from the date issued.